Bright and airy rooms at a great price! This property is located at the Vagator Beach Rd, Coutinho Vaddo Vagator, Goa and is walking distance away from the Chapora Fort. The tourist can also explore places like Sunset Point, Chapora Fort, Vagator Beach View and Snow Park, which are all within few minutes drive-time from here. 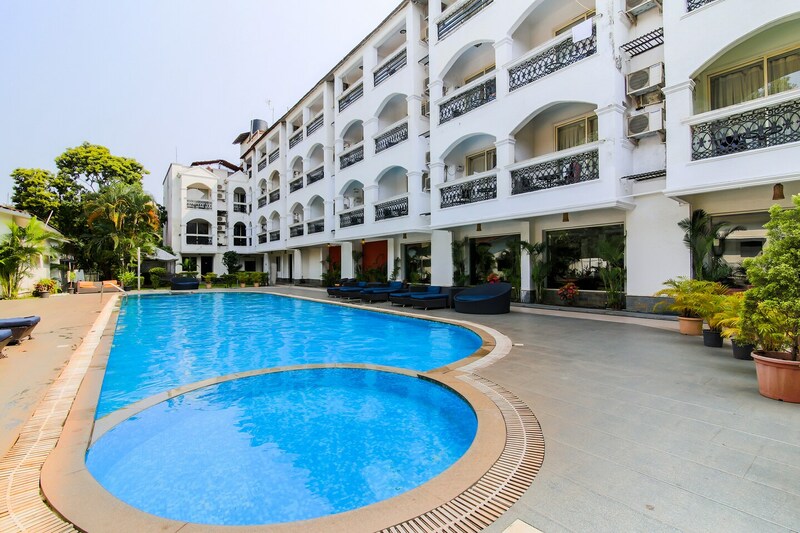 The rooms are bright and airy, the nice swimming pool is inviting for the guests and cozy seating in dining and sitting areas is a treat to the eyes. Vagator Beach hotel offers spacious rooms with AC, television, free Wi-Fi facility, and power backup. This lodge also provides parking facility, mini fridge and in-house restaurant. This place is walking distance away from food junctions like Spice Traders, Apana Punjab Restaurant and Sunrise Restaurant.